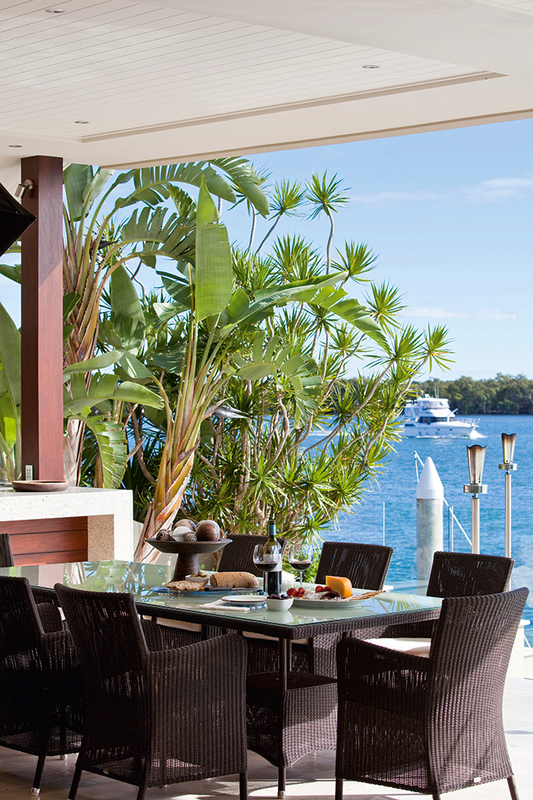 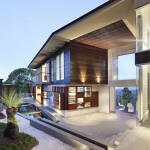 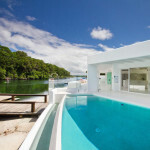 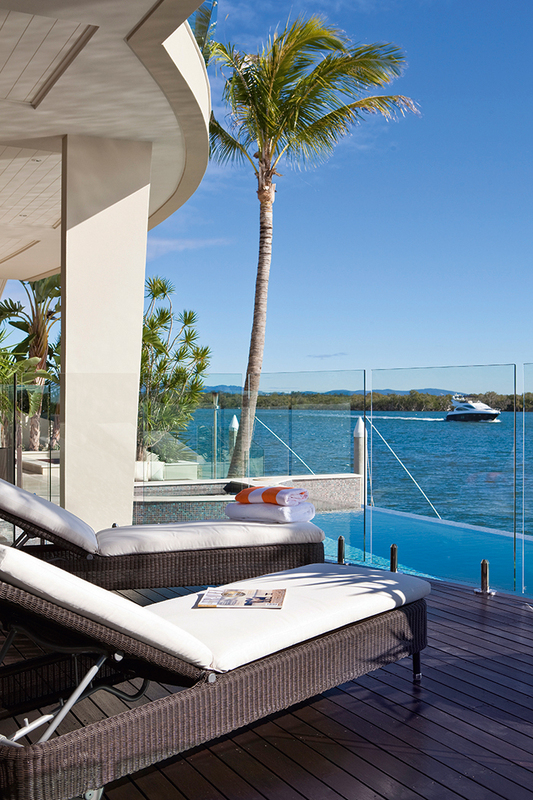 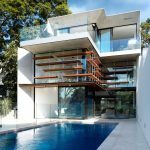 As you enter this stunning modern home located in the Sovereign Islands affluent gated community in Queensland, Australia, you are immediately surrounded by glass, timber, stone and water. 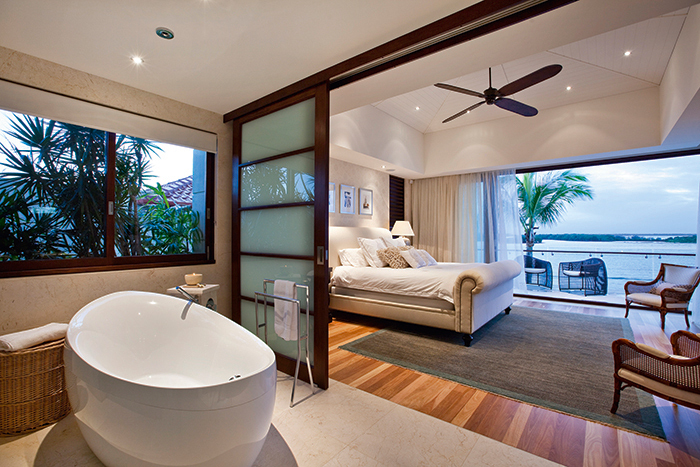 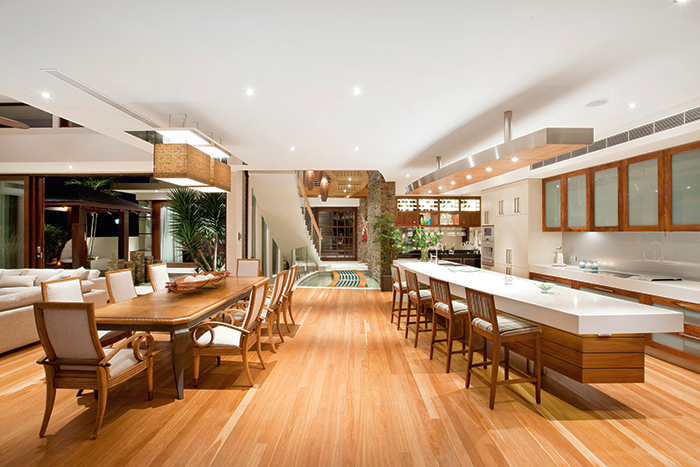 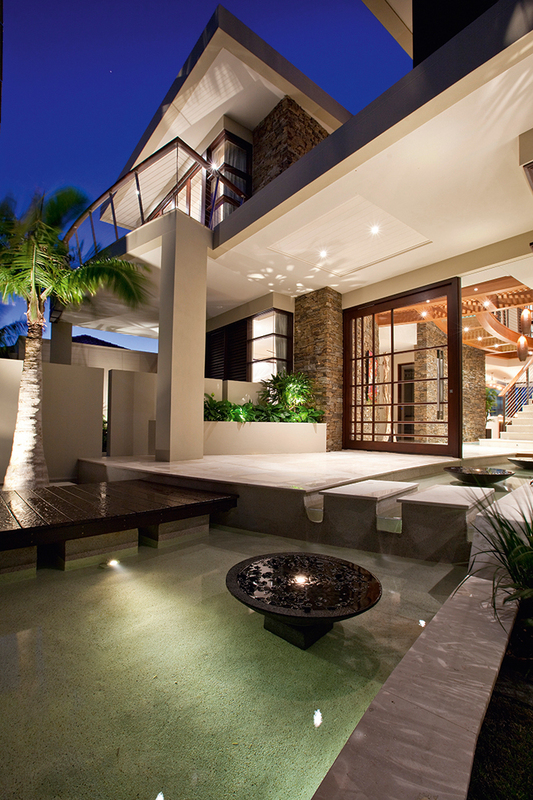 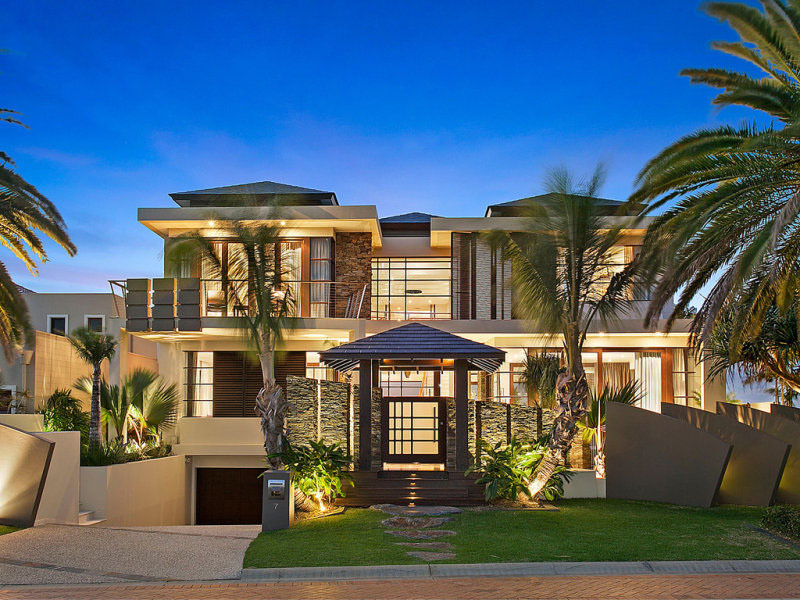 Paul Clout Design created a resort-like home with sub-tropical atmosphere. 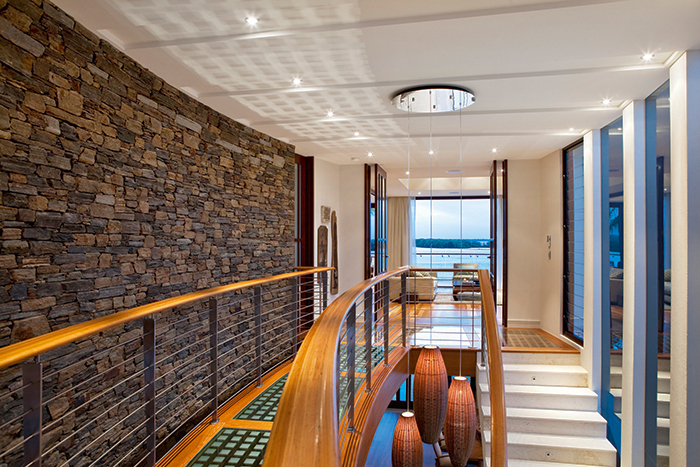 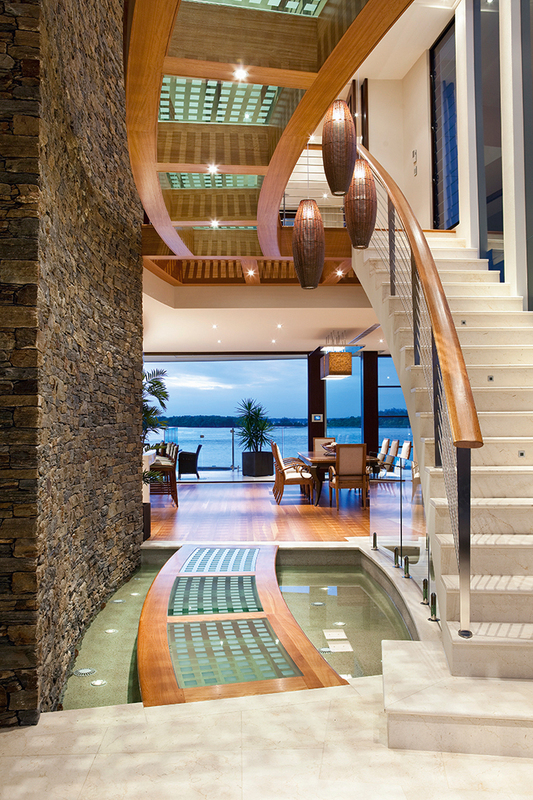 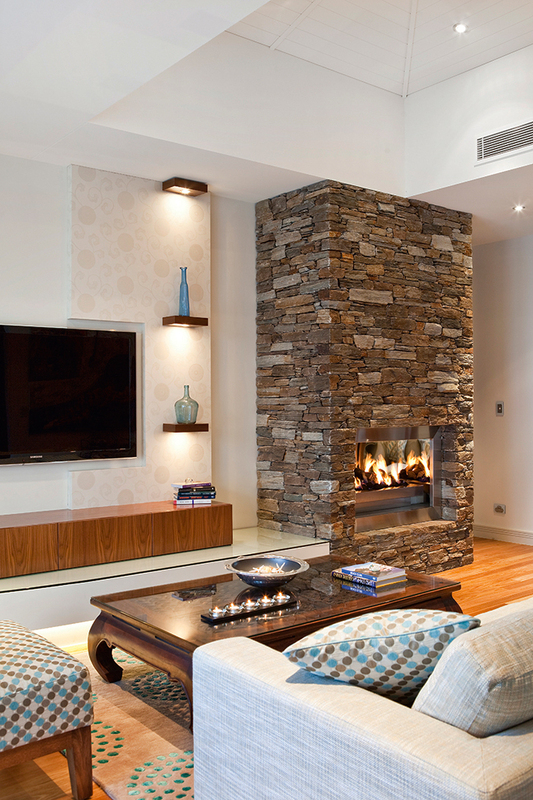 The foyer curved stone wall and a gang plank over the glass walkway with water features provide some of the unique feel of the house. 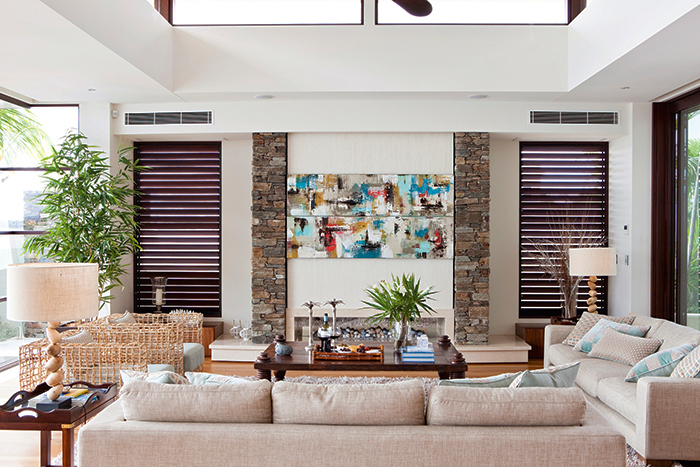 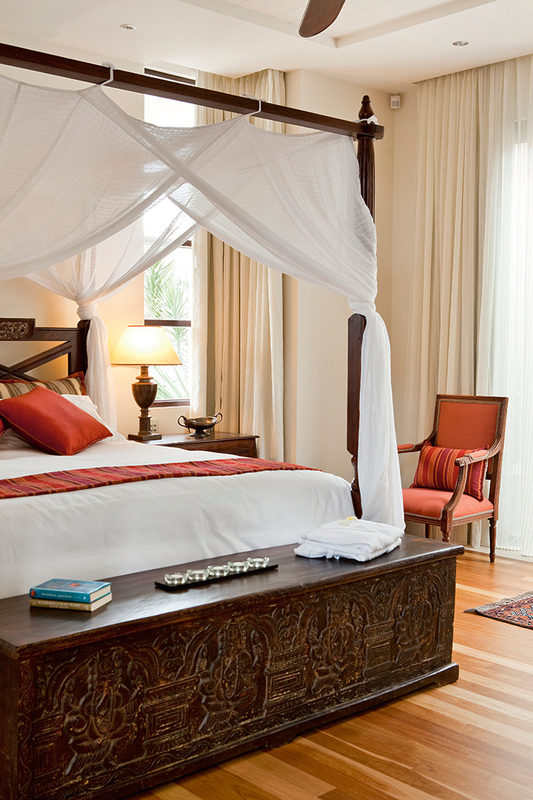 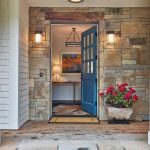 The interior is decorated in neutral tones with soothing nautical influence throughout.